And welcome to blogmas day seven... It just wouldn't be Christmas if you didn't buy a fragrance for someone would it... Sometimes Christmas shopping can be difficult especially when your trying to buy for someone who seems to have everything but the one thing that's sure to be a winner every time is a fragrance, I mean everyone loves to smell nice, right??? 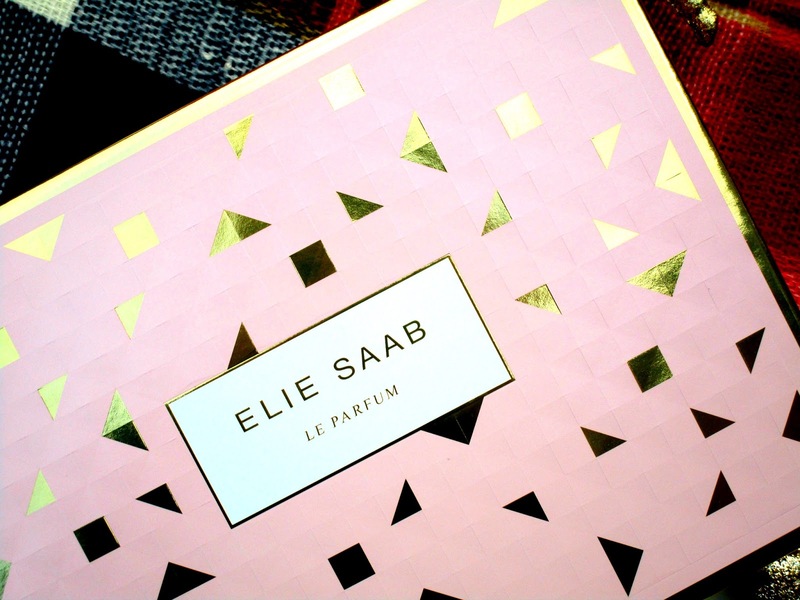 So today I've got the most gorgeous perfume gift set by Elie Saab which is sure to be a hit whether your buying for a family member, a loved one or even a friend. The Elie Saab Le Parfum Rose Couture Gift Set* (£44.20) contains a 50ml bottle of the Elie Saab Le Parfum Rose Couture Eau de Toilette and two 75ml bottles of the Elie Saab Le Parfum Rose Couture Body Lotion which all sit beautifully inside a pretty pink and gold gift box. The fragrance itself is gorgeously floral with a hint of sweetness, this comes from it's top notes of orange blossom, silky rose petals and peony. At the heart of the fragrance is rose nectar, fruity nuances, jasmine and vanilla so your still getting that floral, sweet scent half way through the wear time, then the fragrance finishes off with base notes of patchouli and sandalwood which give it an ever so slight woody edge, which I think really helps balance the fragrance out so it isn't sickly sweet. As for lasting power... I get a good 4-5 hours wear out of this one until I feel I could use a refresh but that's pretty impressive I think considering this is an eau de toilette, it's quite a noticeable scent too without being overpowering and people always ask me what perfume I have on when I wear this which is always nice, I love it when that happens he he. As I said before this gift set also comes with two bottles of the Elie Saab Le Parfum Rose Couture Body Lotion, this works just like any other body lotion really leaving the skin soft and smooth however...wearing the perfume and the body lotion together really intensifies the scent and adds extra lasting power, I'd probably use the two together if I was going out in the evening for a more full on scent. 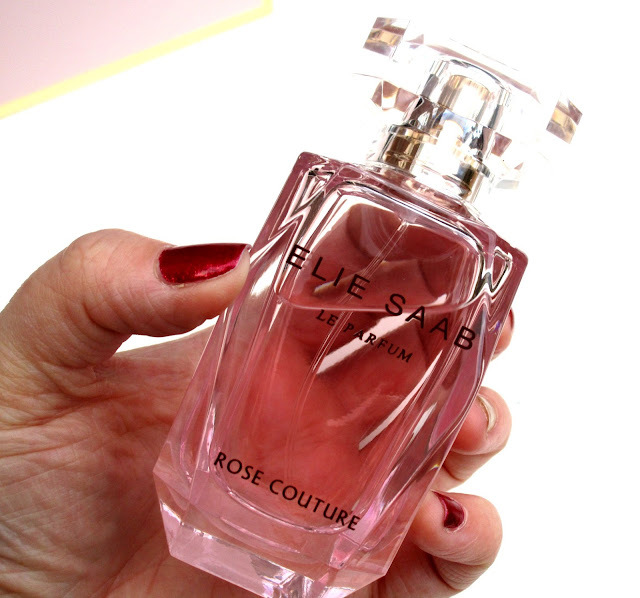 Overall I absolutely adore the Elie Saab Le Parfum Rose Couture scent and think it would be the prefect 'under the tree gift' for any lady/s in your life of all ages, it looks pretty, smells amazing - I just adore floral peony scents and I love the it's so versatile for day or nighttime wear. 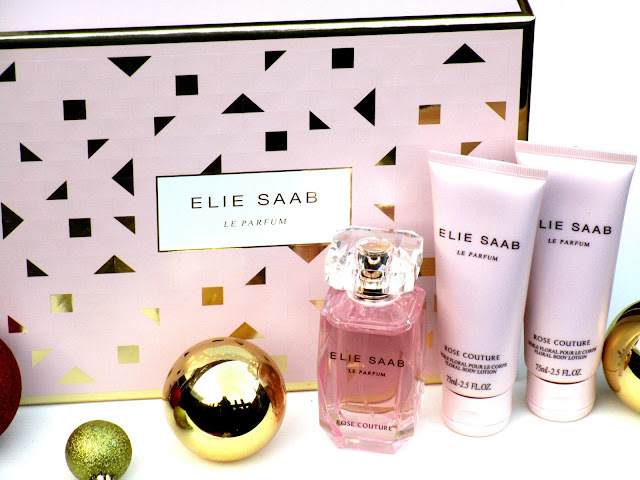 You can find the Elie Saab Le Parfum Rose Couture Gift Set £44.20 on the Escentual website HERE.